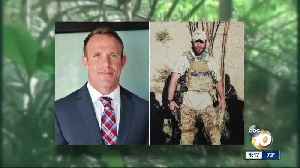 To provide emergency shelter and supplies to people who have lost their homes after natural disaster or fled because of civil conflict, Erik Elsea of Cape Coral, Fla. completed a solo paddle of the..
CNN reports that 2018 was the hottest year ever... And we're not talking about when it comes to playing cool. 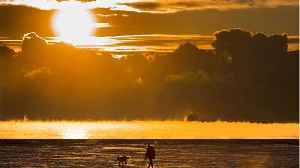 A study shows that last year was literally the warmest for the world's oceans since global.. According to CNN, the strongest storm to hit Hong Kong since the city began keeping records-Typhoon Mangkhut- has left a trail of devastation. 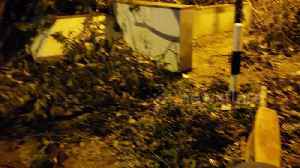 Although there was no loss of life, the storm has caused.. 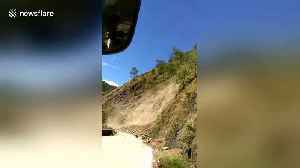 This is the terrifying moment a bus full of passengers were trapped on a narrow mountain road - yards from a landslide. 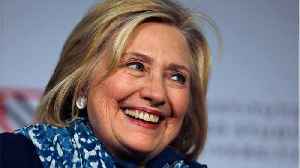 The coach was travelling along the hilly road on November 4 in Benguet, the..
Business Insider reports President Donald Trump received an icy welcome when he visited Pittsburgh, Pennsylvania on Tuesday. 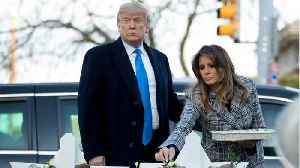 Trump was in Pittsburgh to grieve with members of the Jewish community..
At least six people are dead and dozens are trapped as powerful Typhoon Yutu (Rosita) struck the northern Philippines on Tuesday, October 30. The super typhoon had barreled toward the Pacific.. According to Business Insider, at least six people are dead and dozens are trapped as the powerful Typhoon Yutu has struck the northern Philippines. 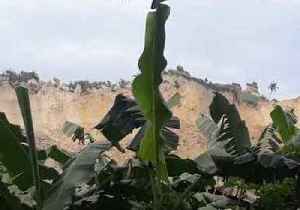 Landslides across the region have blocked roads,.. 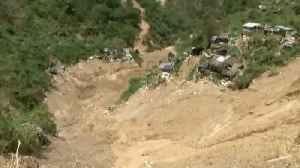 Residents of a U.S. territory in the Pacific ravaged by Super Typhoon Yutu are hopeful for help from the federal government as they dig out from damage including crumbled concrete houses, smashed cars.. 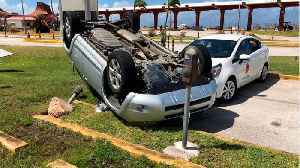 Residents of the U.S. Western Pacific territories are struggling to pick up the pieces after being hit by Super Typhoon Yutu overnight. Colette Luke has more. 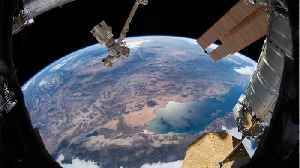 According to CNN, Stunning images of Super Typhoon Trami, the fifth storm of this magnitude in the western Pacific this year, have been captured by an astronaut on the International Space Station.. This video, filmed in Hong Kong on September 16, shows a clothing rack moving back and forth as the building shook during Typhoon Mangkhut. Locals in Hong Kong took to social media to term the city a &quot;giant Jurassic Park&quot; in the wake of Typhoon Mangkhut, which uprooted massive trees continuing to cause transport.. 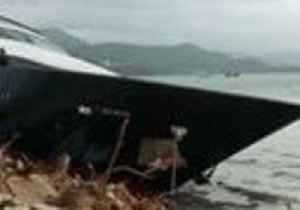 Hundreds of vessels, from luxury yachts to dinghies to dragon boats, were washed ashore, damaged or sunk by the powerful Typhoon Mangkhut, which pummeled Hong Kong on Sunday, September 16. 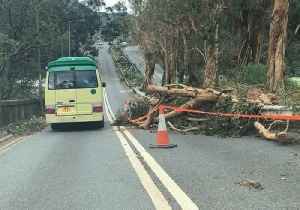 In Sai Kung,..
Locals in Hong Kong took to social media to term the city a "giant Jurassic Park" in the wake of Typhoon Mangkhut, which uprooted massive trees continuing to cause transport disruptions. At least 15 people are dead and dozens more are missing. 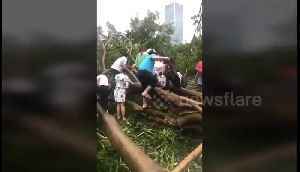 Commuters of southern China’s Shenzhen City climbed through fallen trees to get to work on the first day (September 17) after Typhoon Mangkhut. 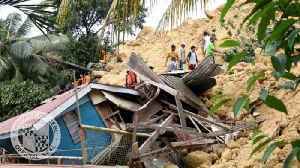 A massive landslide buried dozens of homes near a central Philippine mountain Thursday, killing at least 18 people and sending rescuers scrambling to find survivors after some sent text messages..
At least five people were killed and dozens were missing after a massive landslide buried some 20 houses in Naga City, in the Philippine province of Cebu, on Thursday morning, September 20. 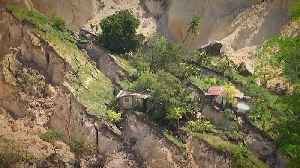 Part of a..
At least four people died after a massive landslide buried some 20 houses in Naga City, in the Philippine province of Cebu, on Thursday morning, September 20, police said. 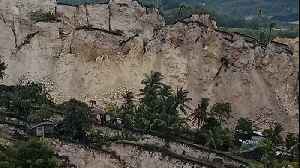 Part of a mountain at Sitio..
Las autoridades de Filipinas elevaron hoy a 81 los muertos y 70 los desaparecidos por el paso del tifón Mangkhut por el norte del país, donde los equipos de rescate siguen la búsqueda de.. Weather and marine scientists are scrambling to analyze a torrent of data on the origins and impacts of the deadly Florence and Mangkhut storms. 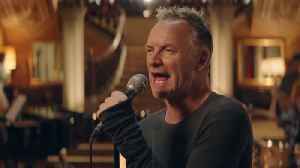 The data has been collected by satellites, gauges,.. Fallen trees knocked over by Typhoon Mangkhut lay scattered about the roads of Sai Kung, in Hong Kong’s northern New Territories, on September 18 as the city continued to clean and rebuild after..
A ShelterBox Response Team is on the way to Indonesia after a 7.5 magnitude earthquake and tsunami with 20-foot waves devastated the island of Sulawesi. More than 1,400 people have died and an.. The LUI Che Woo Prize – Prize for World Civilisation and the Hong Kong Polytechnic University (PolyU) today co-hosted the Welfare Betterment Prize Laureate Public Lecture at PolyU. 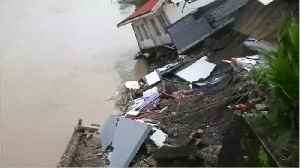 HONG KONG..
Nearly two weeks after Typhoon Mangkhut, the world's strongest storm this year ravaged the South China Sea, killing over 64 people in the Philippines, a tsunami has hit the coastal Indonesian city of..
Up to 25 homes in a central Philippine village were buried, and officials blamed heavy rains in the days since Typhoon Mangkhut struck. As hurricane Florence continues to ravage the American South, the Philippines is working its way out from under another natural disaster as landslides pummel the country after typhoon Mangkhut. The..
ITOGON, Philippines (AP) — They’re eerie photographs, probably the final images of a few Filipino villagers standing placidly outside low-slung buildings a day before the green mountainside behind..
Members of China’s small surfing subculture were drawn to Xichong, a peaceful coastal village a world away from the bustle of nearby Shenzhen, a city of 13 million. Hong Kong Disneyland was closed Monday in the aftermath of the severe Typhoon Mangkhut, the company announced this week. Dozens of people are missing after a typhoon described as the "king of storms" slammed into heavily populated parts of Asia. 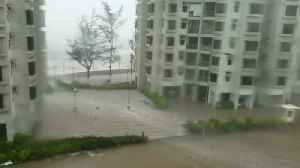 Typhoon Mangkhut killed at least 69 people over the weekend. Ben Tracy.. 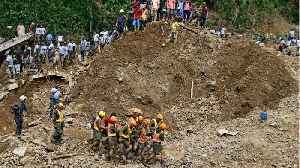 Dozens of people who eked out a living at a small-scale mine were killed when Typhoon Mangkhut’s drenching rains unleashed a landslide in their mountain community. While Hong Kong is well-prepared for major storms, the intensity of this typhoon, the most intense to hit the city since 1946, took many by surprise and caused significant damage. Guests at the Sheraton Dameisha Resort Hotel in Shenzen, China watch as seawater from Typhoon Mangkhut crash into the dining room of the hotel. 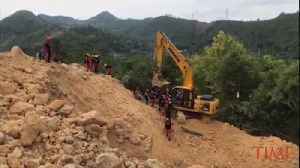 Rescuers in the Philippines continue to frantically dig through a massive mound of mud to retrieve the bodies are dozens of people believed buried by a landslide triggered when powerful Typhoon..
A Philippine mayor says it’s unlikely any of the dozens of people thought buried in a huge landslide set off by Typhoon Mangkhut will be found alive. Hundreds of rescue workers dug through mud and debris in the Philippines on Monday, seeking survivors from a monster typhoon that also caused widespread damage in Hong Kong and the southern China..
A vote on Kavanaugh's Supreme Court nomination may be delayed after a woman said he attempted to sexually assault her decades ago. Florence is downgraded and a typhoon threatens parts of Asia. 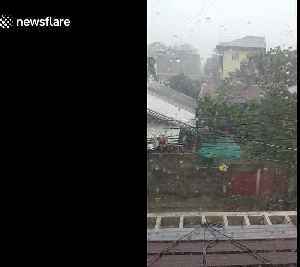 The Latest on Typhoon Mangkhut (all times local): 3:30 p.m.
ITOGON, Philippines (AP) — The Philippine government has ordered a stop to all illegal mining in six mountainous northern provinces in a drastic decision to prevent more tragedies after Typhoon..
As Typhoon Mangkhut churned its way to China, emergency workers in the Philippines found the bodies of dozens of gold miners. 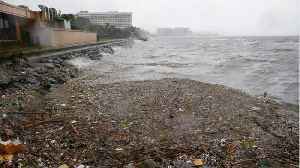 Typhoon Mangkhut, the world’s most powerful storm this year, skidded into mainland China after claiming at least 59 lives in the Philippines and pummeling Hong Kong and Macau during a devastating..